Earn you 2499 reward points. 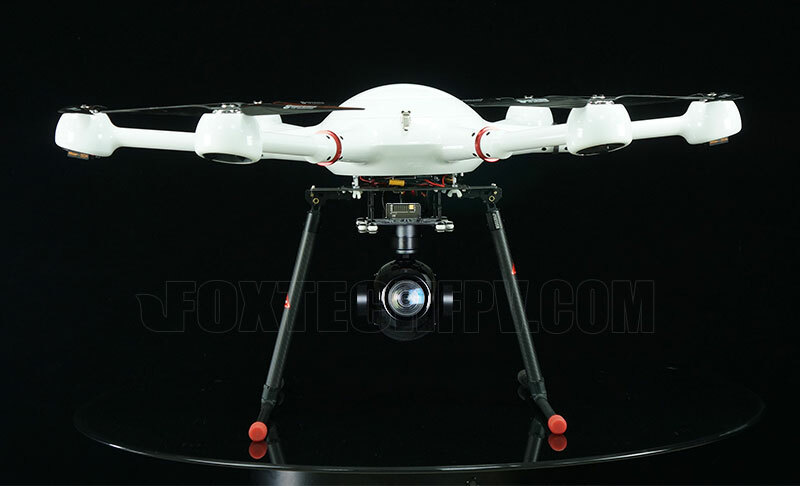 FOXTECH SEEKER-30 is a high-precision professional 3-axis gimbal with a 30X 1080P Optical Zoom Camera which features high stability,small size and light weight. 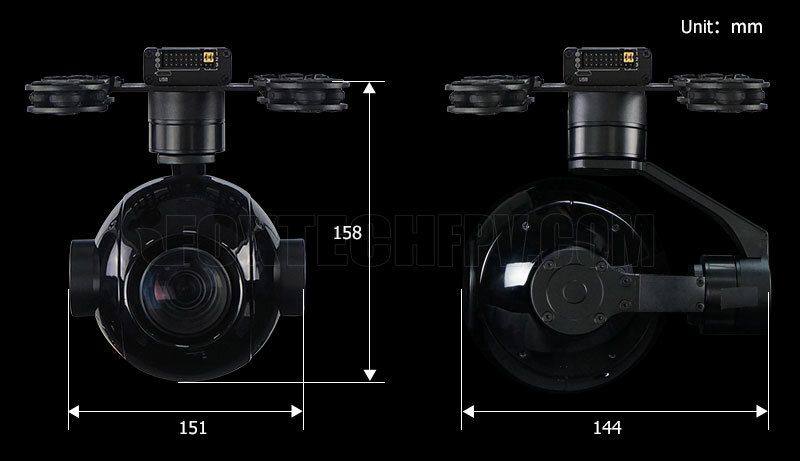 The 3-axis gimbal based on FOC motor control technology, adopts high-precision encoder in each motor. 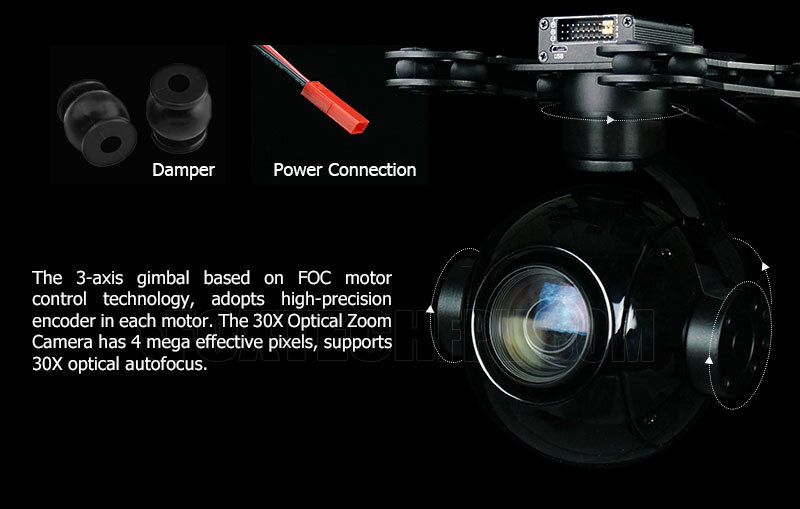 The speed of the gimbal is ajustable, LOW speed mode is used for large zoom range, so the control will be more accurate; Fast speed mode is used for small zooming range, which makes the gimbal control sensitive and quick. 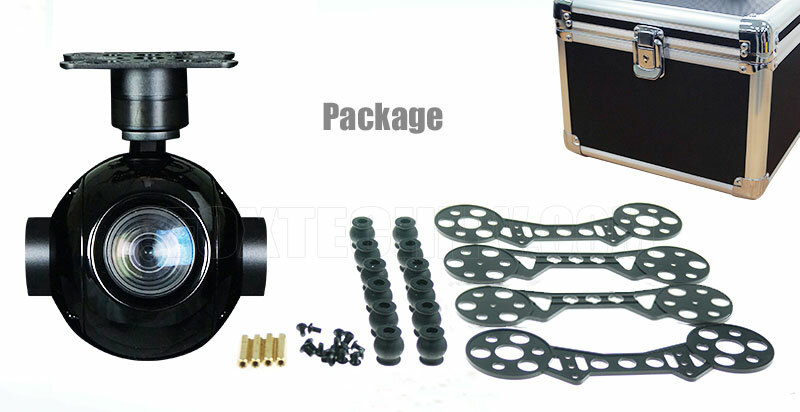 Also the one-key to center function will allow the gimbal returning to initial position automatically and rapidly. 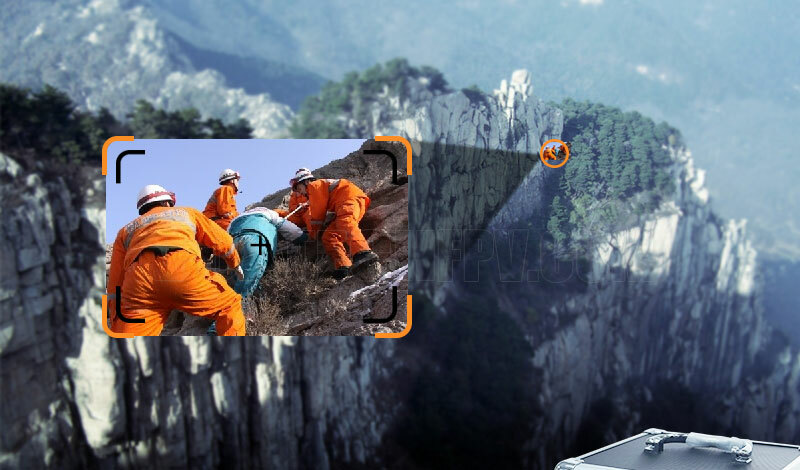 The 30X Optical Zoom Camera has 4 mega effective pixels, supports 30X optical autofocus. 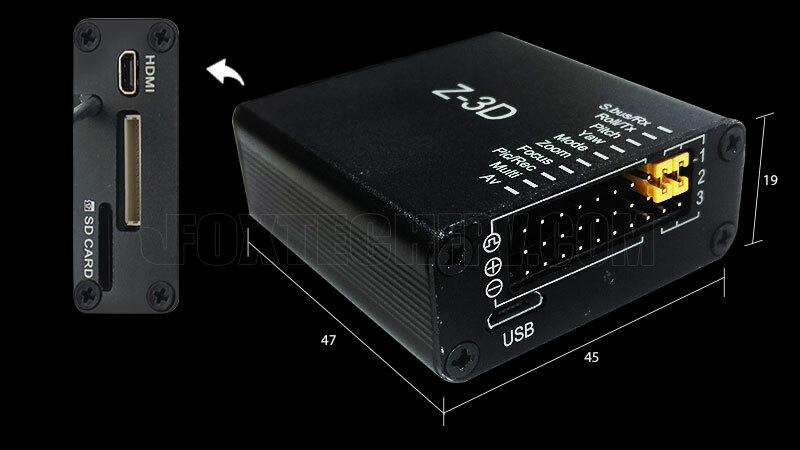 The zooming function makes it possible to see objects in detail over distance. 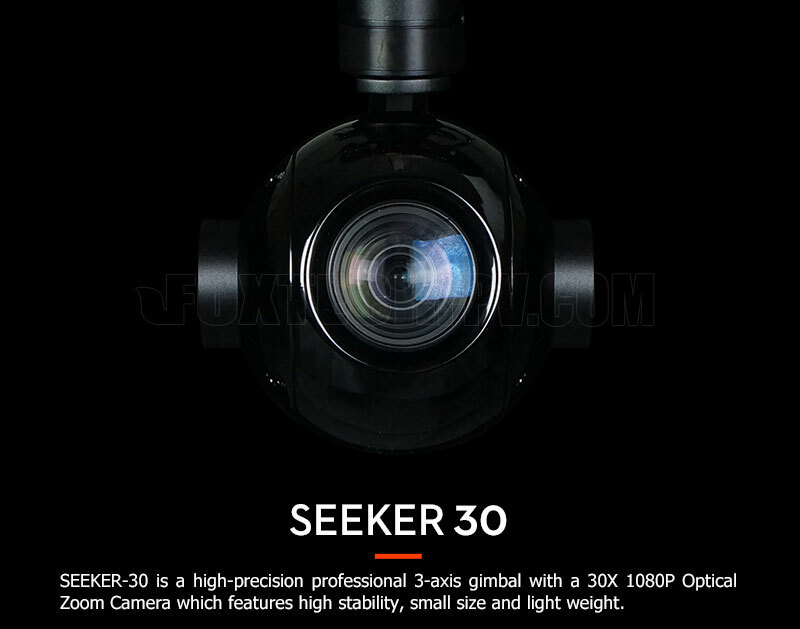 The SEEKER-30 offers 1080p FULL HD 30fps video recording onboard and 1080p HDMI output for HD video transmission back to the ground. 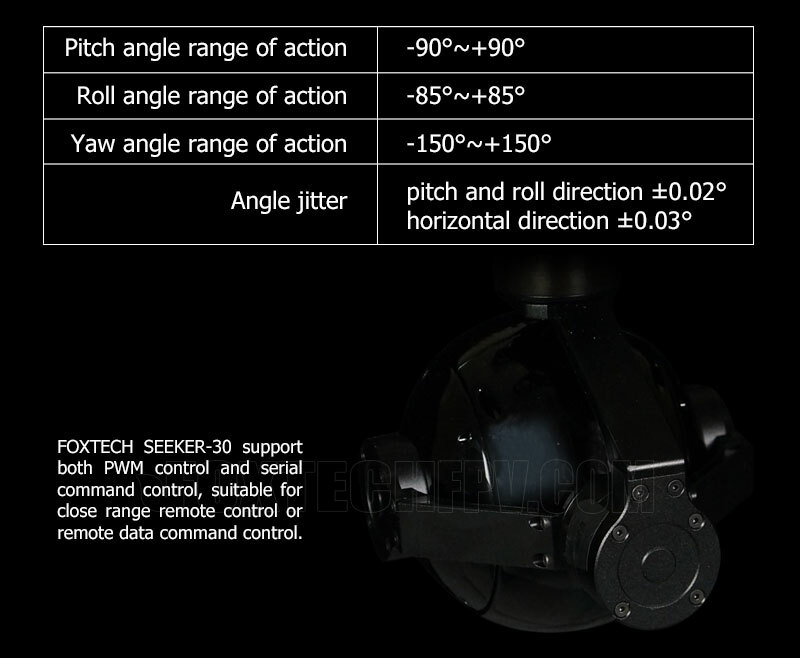 FOXTECH SEEKER-30 support both PWM control and serial command control, suitable for close range remote control or remote data command control.